Here’s some stuff for your ears this Friday. 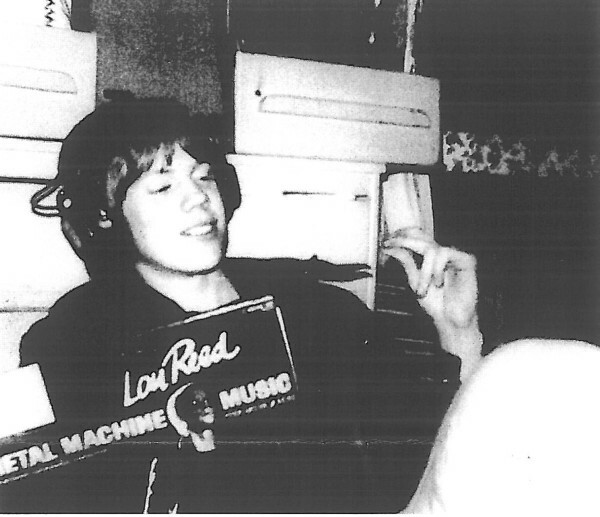 To be listened to all at the same time, or in any combination as you please. 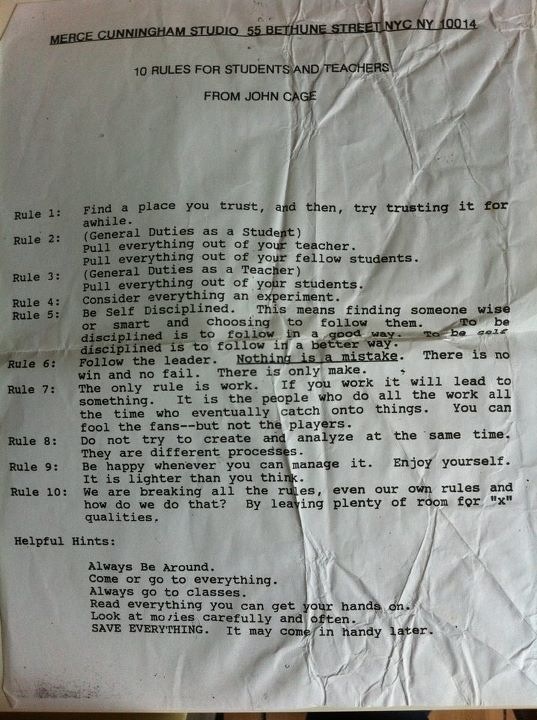 To celebrate, here are ten rules for teachers and students from John Cage and Sister Corita Kent. Rule 5: Be Self Disciplined, This means finding someone wise or smart and choosing to follow them. To be disciplined is to follow in a better way. Rule 7: The only rule is work. If you work it will lead to something. t is the people who do all the work all the time who eventually catch onto things. You can fool the fans — but not the players. Rule 10: We are breaking all the rules, even our own rules and how do we do that? By leaving plenty of room for “x” qualities. Look at ??? carefully and often.